Under the Americans With Disabilities Act of 1990, it is completely illegal to discriminate against another person due to their disability, in areas of employment, transportation, public accommodation, communications, and government activities. In addition to the U.S. Department of Labor, there are several other organizations seeking to protect the rights of disabled Americans, including the Equal Employment Opportunity Commission (EEOC), the Department of Transportation, the Federal Communications Commission (FCC), and the Department of Justice. With so many governmental organizations out to protect the rights of the disabled, it may seem somewhat insane to hear that disability discrimination still occurs on a widespread basis. As Denver’s leading disability discrimination attorney, we can say that disability discrimination happens far too often. Sometimes the discrimination is quite subtle, while other times, the discrimination is entirely transparent. If you or a loved one has been discriminated against due to a disability, you need to contact the Civil Rights Litigation Group immediately. One of the more pressing issues in disability discrimination is that of reasonable accommodation. For example, a wheelchair-bound employee cannot effectively work like the other employees because some areas of the office, for example, are not wheelchair accessible (in other words, the employee is unable to prove his/her worth because he/she cannot easily access a critical area of the office). Is it reasonable to ask for wheelchair ramps and other structures? In the majority of cases, like this one, making an office wheelchair accessible is a reasonable accommodation. Another example of reasonable accommodation would be the printing of easy-to-read materials (such as leaflets or memos) for the visually impaired employees; in the majority of cases, having an interpreter or a reader for the blind or hearing impaired would also fall under a reasonable accommodation clause. 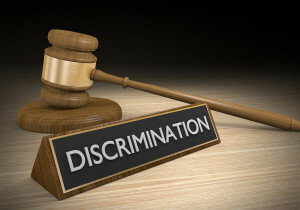 Disability discrimination is sometimes hard to catch, and the majority of employers and other individuals will deny any instances of discrimination if confronted. For that reason, if you believe discrimination is happening, you need to contact an experienced disability discrimination attorney. At the Civil Rights Litigation Group, we will begin ardently documenting absolutely everything related to the discrimination, gathering scores of evidence to ensure a strong case. At the first signs of discrimination, contact the Civil Rights Litigation Group at (720) 515-6165.